POPE Francis is Time Magazine's Person of the Year 2013. Against stiff competition from whistle-blower Edward Snowden and even internationally despised President of Syria Bashar Al-Assad, the Pope has won the day. In elaborating on the decision, Time managing editor Nancy Gibbs explained how the Pope appears to have changed the face of Catholicism in less than 12 months, by showing humility, frankness and devotion to his faith. "…He has done something remarkable: he has not changed the words, but he's changed the music," she wrote. 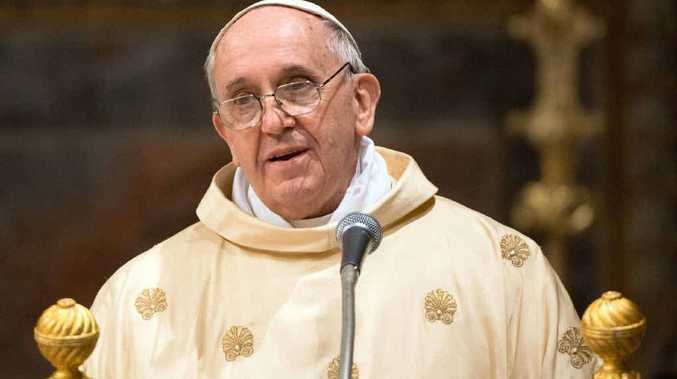 "Tone and temperament matter in a church built on the substance of symbols-bread and wine, body and blood-so it is a mistake to dismiss any Pope's symbolic choices¬ as gestures empty of the force of law. He released his first exhortation, an attack on "the idolatry of money," just as Americans were contemplating the day set aside for gratitude and whether to spend it at the mall. "This is a man with a sense of timing." And in Time's feature piece on the pontiff, it goes further. "In a matter of months, Francis has elevated the healing mission of the church-the church as servant and comforter of hurting people in an often harsh world-above the doctrinal police work so important to his recent predecessors. "John Paul II and Benedict XVI were professors of theology. Francis is a former janitor, nightclub bouncer, chemical technician and literature teacher." American gay rights activist Edith Windsor, and Tea Party flag-waver Ted Cruz - who helped engineer the shutdown of the United States Congress earlier this year - were named runner-ups alongside Mr Assad.